Nothing will help grow your business like a rich and dynamic email marketing program combined with a large and engaged social media fan base. Sign up for The Total Marketing Package* in April and receive $1000 in Facebook advertising to fuel your fan base growth! This will also increase the fan engagement and the EdgeRank Score assigned by Facebook. You will fast become a dynamic force on the world’s heaviest busiest website, with this ad campaign. *6 month agreement with autocharge payment agreement required. Constant Contact membership for 2500 or less contacts only. 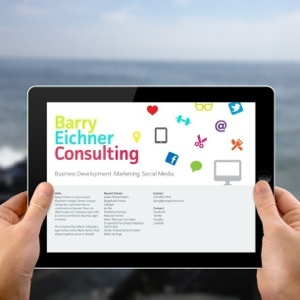 Facebook ad spend to be determined by Barry Eichner Consulting and is paid directly to Facebook and has no cash value, can not be refunded.